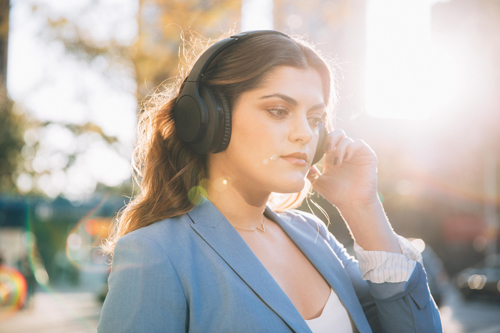 A new pair of headphones from premium manufacturer Audio-Technica, the ATH-ANC700BT come with QuietPoint Wireless Active Noise-Cancelling technology, which allows you to enjoy listening to music even in the nosiest of environments. The default is set to the noise cancelling function when you turn on the Bluetooth headphones but can switched off simply by covering the touch panel on the left ear cup with your left hand. You repeat the process to turn them back on. The ANC700BT is designed to use its built-in microphone to pick up noise from the surrounding environment, like the sound of vehicles and the hum of the air conditioner, then cancel out that noise by producing sounds in a negative phase. This results in a reduction in the sounds in your environment. 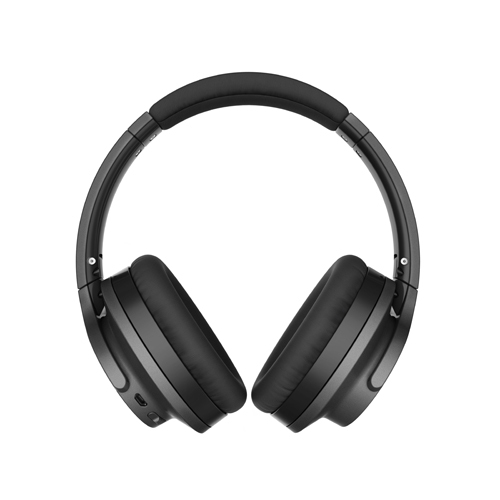 The product’s noise-cancelling function mainly reduces noises of 300 Hz or lower. Because of this, it has almost no effect on noises above that frequency, such as ringtones or someone speaking. During the test, I found the headphones gave me a quiet listening environment in my bedroom, effectively shielding off the loud humming of my air-conditioner. 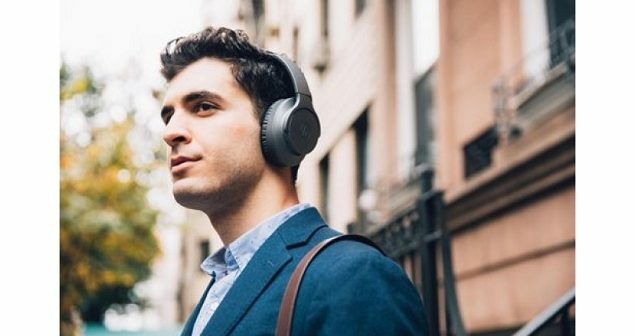 However, used in Bluetooth mode, the phones do not support High-Resolution Audio sounds because they lack Hi-Res Audio Bluetooth streaming formats of either LDAC or aptX HD. Instead, they support Bluetooth streaming codecs of aptX, AAC and SBC. Despite that, the sound quality is good with excellent clarity and powerful bass. The phones use 40mm drivers and have a high sensitivity of 98dB when the battery-powered noise-cancellation is used. The sensitivity drops to 95dB when the noise-cancellation is turned off. 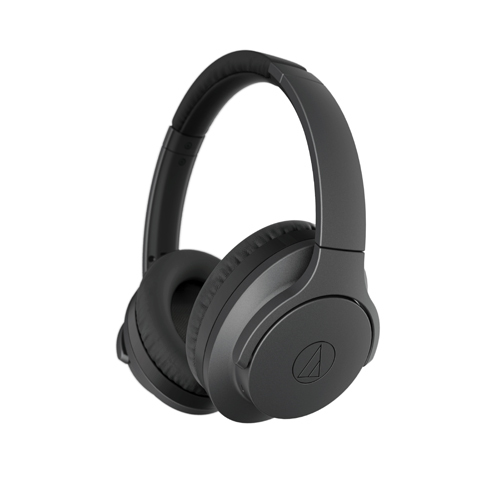 The ANC700BT has impedance of 150 ohms when the noise-cancellation is used or 35 ohms without. 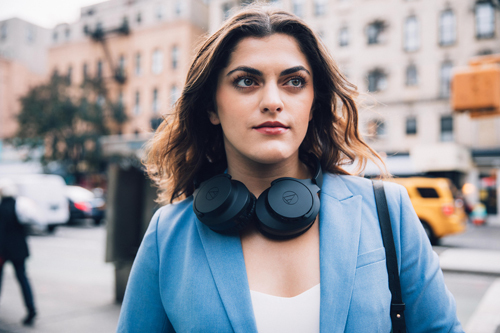 The headphones also have good battery life, lasting up to 25 hours when both Bluetooth and noise cancellation are turned on. When only the Bluetooth is used, the battery can last up to 30 hours. I was able to enjoy Hi-Res Audio signals on the ANC700BT with a provided 1.2-metre detachable audio cable. The headphones have a frequency response of 5 to 40,000 Hz. I found that when the headphones were used with cable in Hi-Res Audio mode, the sound quality was great with very good music details and a deep and powerful bass. In wire mode, I was able to turn on the power switch on the left ear cup allowing me to use only the noise cancellation function to enjoy high-quality sound in a quiet environment. Another nice feature in Bluetooth mode is that the phones provide a touch panel on the left ear cup for controlling music playback and talking on the phone. For example, while listening to music, you can touch the Audio-Technica logo in the middle of the left ear cup to play or pause the music. You hold it for a little longer to activate the speech recognition function, such as Siri. You can touch the top part of the left ear cup to increase the volume and the bottom part to decrease the volume. You swipe the touch panel down to play the previous track and swipe up it up to play the next track. I tried this with the JOOX music app and it worked well. To take an incoming call to the smartphone connected to ANC700BT, simply touch the middle of the touch panel to answer it. You can also touch and hold it for two seconds to reject it and if you want to hang up during the call just touch in again. Increasing and decreasing the phone volume works the same way as for playing music. The headphones are light and comfortable so I was able to wear them for hours on end. The ANC700BT comes with a foldable design and a carrying pouch is provided, so you can conveniently carry them around with you. Audio-Technica ATH-ANC700BT is distributed by RTB Technology with a suggested retail price of Bt7,990.